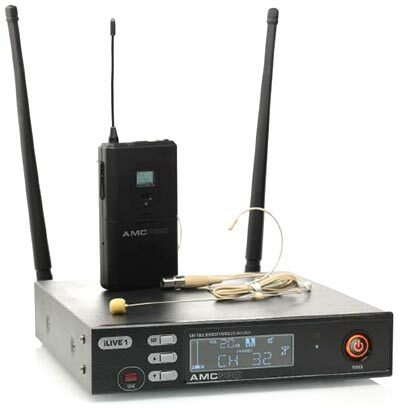 AMC's iLive-1 Headset UHF wireless microphone system is a true diversity device with 32 selectable channels and automatic channel targeting (ACT). 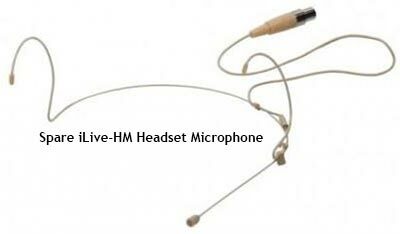 The Belt-Pack Transmitter comes complete with a sensitive, natural sounding flesh-coloured headset condenser microphone and features an infra red port for synchronising its frequency to the receiver, a frequency lock switch and an LCD screen showing the channel number and battery status. The receiver's LCD display shows information about RF and AF levels, channel frequency, automatic channel synchronisation and squelch control. We consider this radio mic system to represent unusually good value because its performance is very robust and its build quality is outstanding at this price point. You can also comfortably use up to 4 systems (on different frequencies) within one venue, and often up to 6 in some environments. 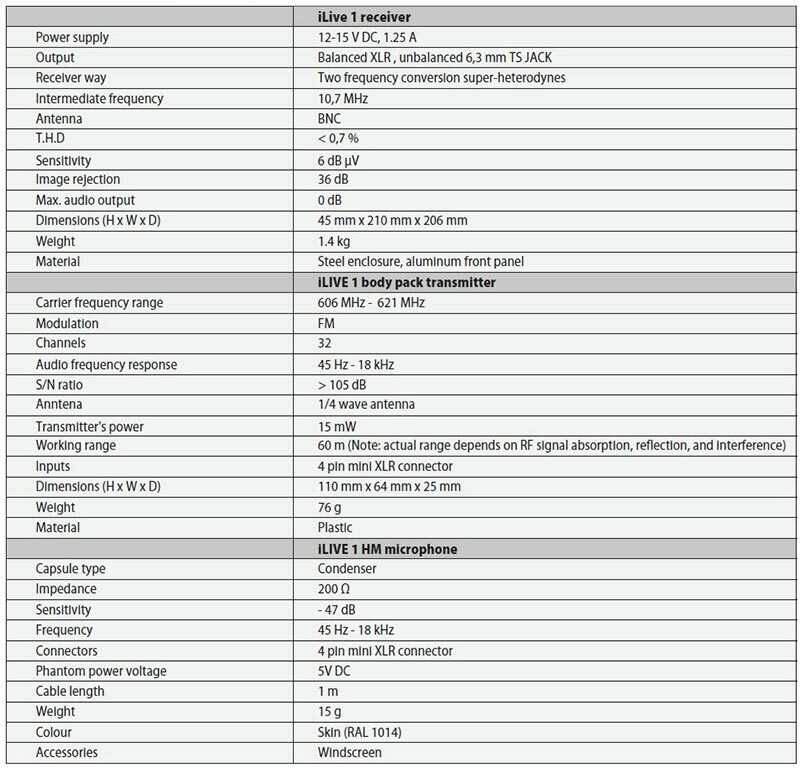 The iLive-1 system is therefore suitable for use for both presentation and recording in broadcast, corporate and educational applications, by government and military agencies, in hotels and on cruise ships and in any environment where reliability and crystal clear sound quality is required.